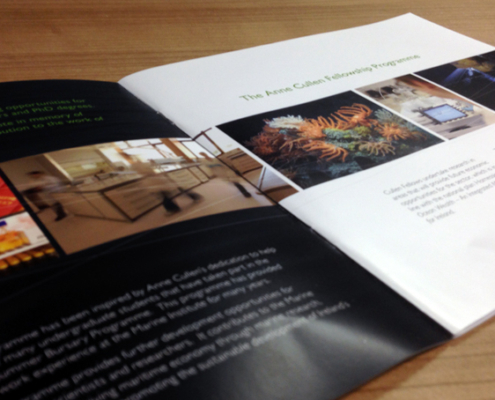 We are proud to announce the February Job of the Month! 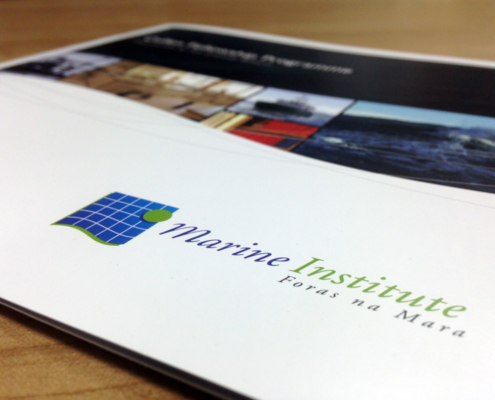 The Marine Institute came to us to develop their Cullen Fellowship Programme information guide – a new programme for opportunities in Post Graduate Reseach. 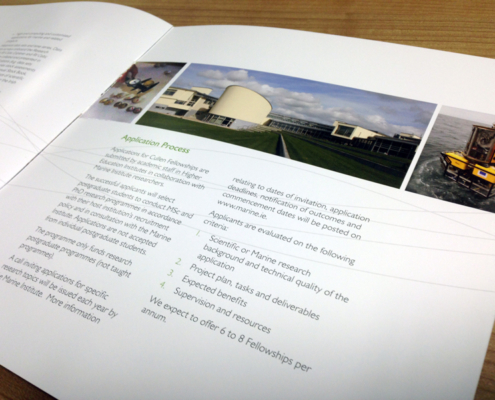 The Cullen Fellowship Programme provides research training opportunities for scientists in marine and related disciplines, leading to Masters and PhD degrees. 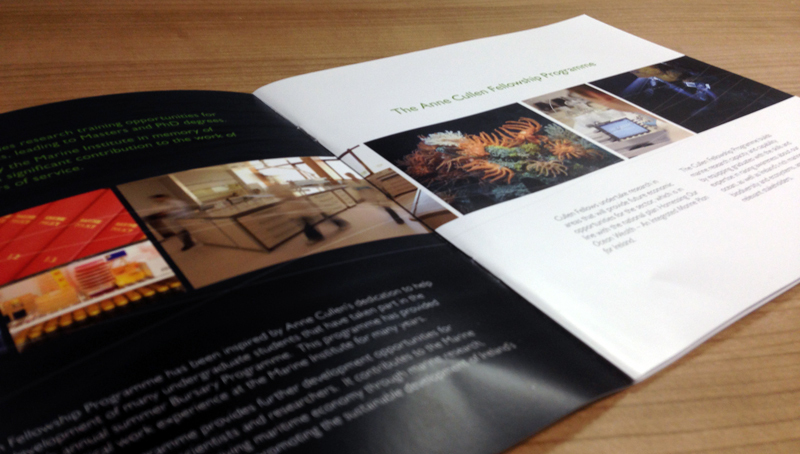 The Programme has been established by the Marine Institute in memory of Anne Cullen (1958 – 2013), who made a significant contribution to the work of the Marine Institute during her 35 years of service. 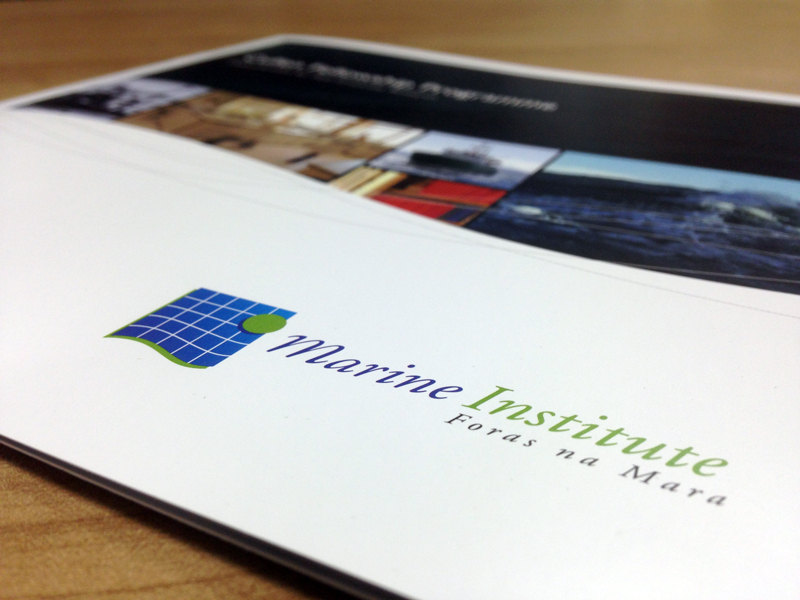 Our in house design team were able to comply with the Marine Institute’s needs for a clean, effective and simple design that would help promote the Cullen Fellowship Programme. 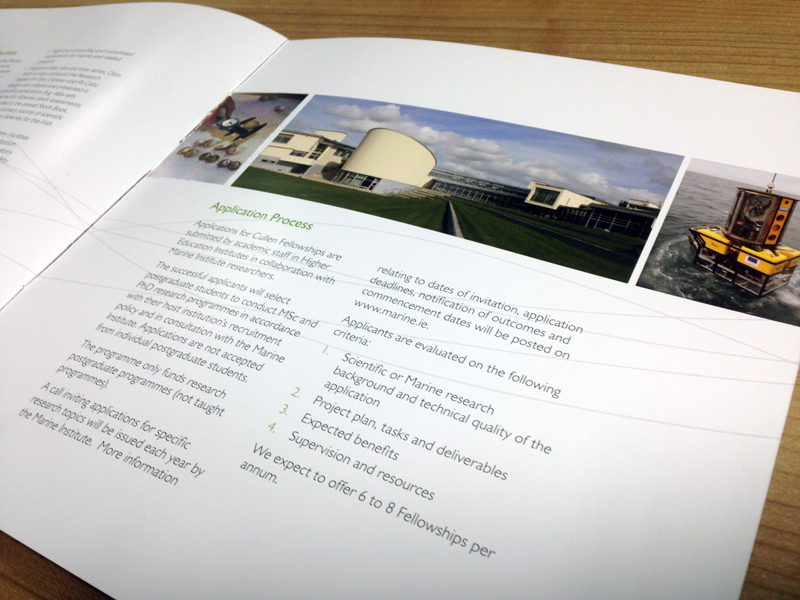 The final design was printed on a nice gloss finish to give a nice lasting and professional feel for the booklet.